Despite loud protestations from some hi-fi quarters, Japanese direct drives ruled the world in the latter part of the seventies – many delivering a highly impressive sound. 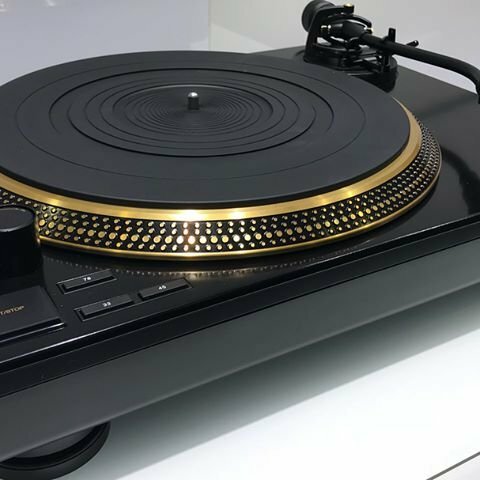 Then, when some rounded on the Technics SL-1200 two decades later, many vinyl junkies ignored the sniffier parts of the British hi-fi press and the iconic ‘DJ deck’ fast became a cult classic. So much so that when it was discontinued, many felt there was a void that needed to be filled. 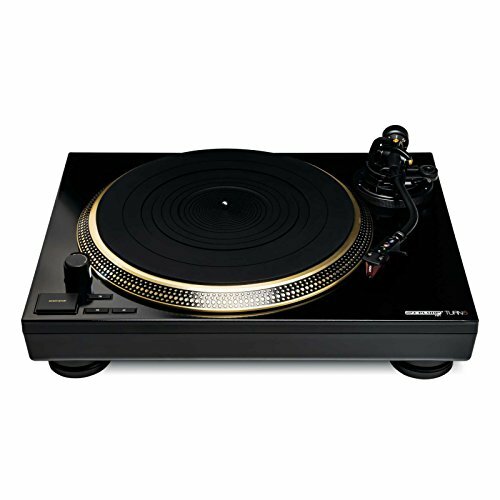 Of course, the SL-1200 has more recently been reimagined in several price-point guises, but they’re far more expensive than before. This is why the Turn5 looks so interesting, as it’s effectively inspired by the design. Reloop has been making pro audio equipment since 1996, and formed a specialist hi-fi division two years ago. It has recently partnered with Henley Audio in the UK and the Turn5 is the top model in the range – to all intents a close looking copy of an SL-1200, but without the variable speed control and in a different finish. reasonably torquey. For example, if you apply a record brush to a piece of vinyl while the platter is spinning, you need to push down reasonably hard to see it slow. 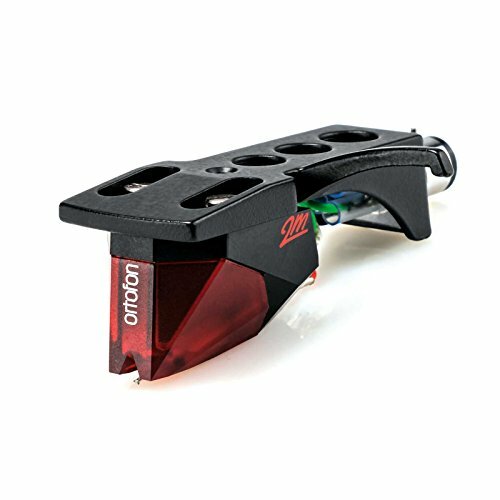 The claimed 0.01 percent wow and flutter figure is on another level even to today’s top high-end belt-drive designs. The statically balanced S-shape tonearm isn’t up to the quality of the Japanese original, which itself was not brilliant. 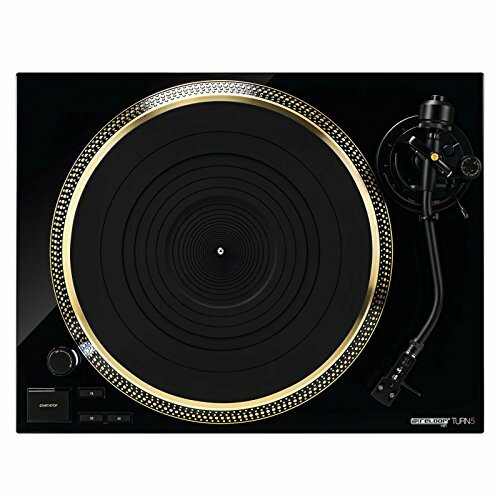 Yet it’s on another level to most Technics clones. 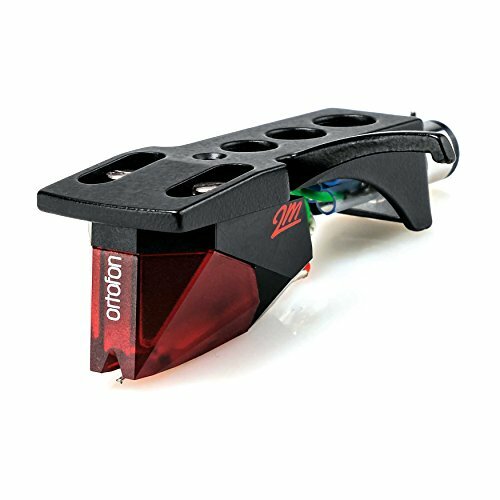 With the supplied headshell it tracks cartridges between 3.5 and 8.5g and – thanks to its partnership with Henley Audio, no doubt – comes with a very respectable Ortofon 2M Red moving magnet cartridge (HFC 345), which would cost you £ to buy separately. It comes pre-fitted and perfectly aligned in the headshell. 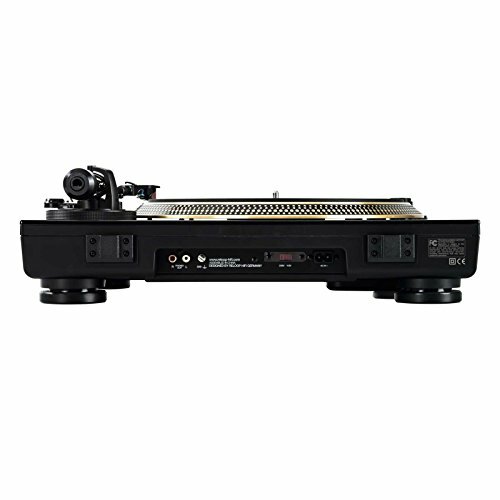 Although the base isn’t as sturdy as either the old or new SL-1200, at least the AC mains socket isn’t hidden away like the Technics original. The gold-plated RCA phono outputs are quality items, as is the supplied connecting lead. The feet aren’t great, but don’t feel too cheap and the Perspex lid isn’t an embarrassment either – although I would always recommend using it with this removed for better sound. Setting it up is easier than any equivalently priced belt drive, thanks to not having to fiddle around with fitting a belt. To give a balanced view of this deck’s performance, we need to be clear what we’re comparing it with and it’s only fair to use what’s currently on sale for £ as a gauge. Essentially, it has a fast, clean and detailed sound that’s close to the sort of thing you would expect from decent direct drives – some of which were admittedly considerably more expensive when new. 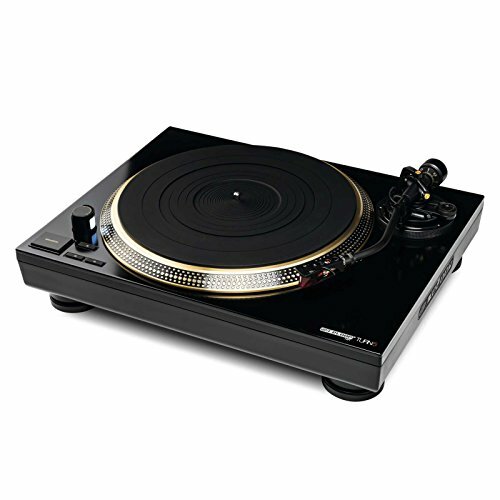 It has a tight, controlled and grippy sound, one that plays records in a very matter of fact way. At all times, it seems authoritative and mature, which is no mean feat considering the price tag. Spin The Police’s Wrapped Around Your Finger and you’re suddenly in large, expansive soundscape with Stewart Copeland’s drumming completely dominating the song. The Turn5 sounds grippy and sinewy, keeping hold of the drum, bass guitar and rhythm tracks with real precision. It’s so crisp that you’re really able to appreciate his firecracker snare and rim shot fills, and the bass drum is like being thumped in the chest when played loud. It’s hard to believe that you’re listening to a turntable of this price, such is its overall control. It’s good at stereo imaging too, although here things get a little more qualified. The Reloop’s midband is very clear and controlled, but it doesn’t quite have the same width as the best belt drives at this price. Instead, the metronomic precision of this turntable draws the attention away from a slightly curtailed stereo spread. It falls back fairly well, showing this is more than just a two-dimensional performer. The spacious jazz rock of Pat Metheny’s This Is Not America only confirms this, letting me pinpoint all the various strands of the mix with real accuracy, while David Bowie’s vocals hover above everything in a ghostly way. bland. Indeed, you can clearly hear the attack of the drumstick upon the cymbal much better than the vast majority of decks at this price. It falls to a classic slice of reggae in the shape of Gregory Isaacs’ glorious Night Nurse to catch the Reloop in its element. The track’s sledgehammer bass is carried with great speed and no hint of mistracking, and this same control lets it give a really accurate rendition of the texture of the lead keyboard part. Indeed the sound proves really vibrant and tangible, rather than slurred and blurred as it can be with some budget turntables. It has a fundamental rightness to its sound that makes you forgive it any of its various foibles. 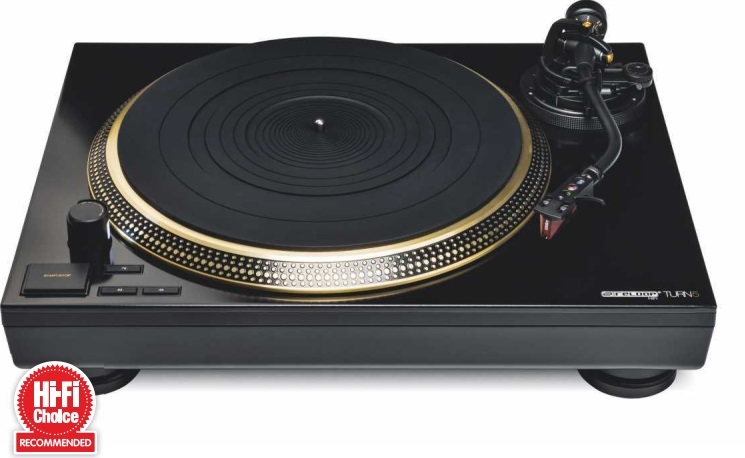 In absolute terms, there is a slight lessening of dynamic accenting, and the deck lacks a real ‘hear through’ midband that you get with the Technics SL-1200GR (HFC 426) for example. The Tum5 doesn’t magically buy you high-end vinyl sound on the cheap, yet it’s still a very welcome newcomer to the market. It offers a considerably bouncier, tighter and more animated performance than its belt-driven rivals, with a touch more focus. 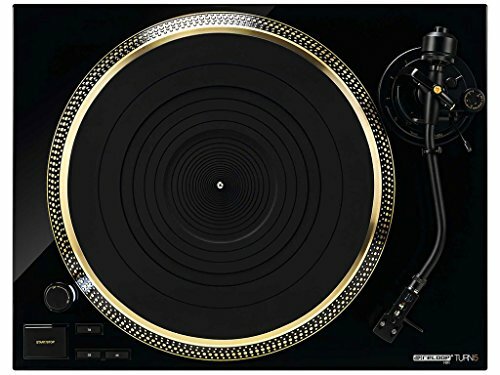 The downside is that your friends might start questioning your sanity for buying – their words, not mine – “a DJ deck without pitch controls”. 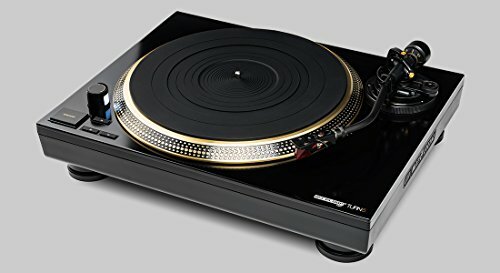 Rega’s Planar 3/ Elys 2 (HFC 411) is the closest rival to the Reloop Turn5, but is very different. 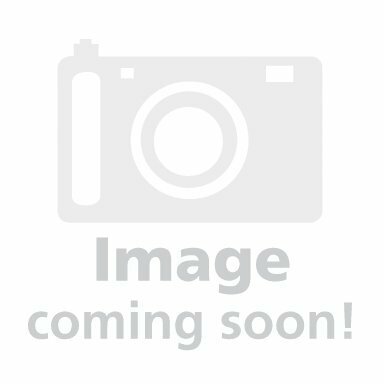 Its belt-drive motor gives inferior speed stability, yet is vastly improved over earlier versions now and no longer an issue. 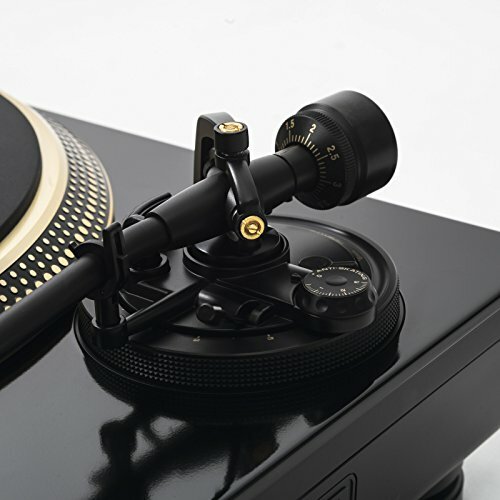 Its fitted tonearm is far better than the Turn5’s, with a wider and more spacious sound. 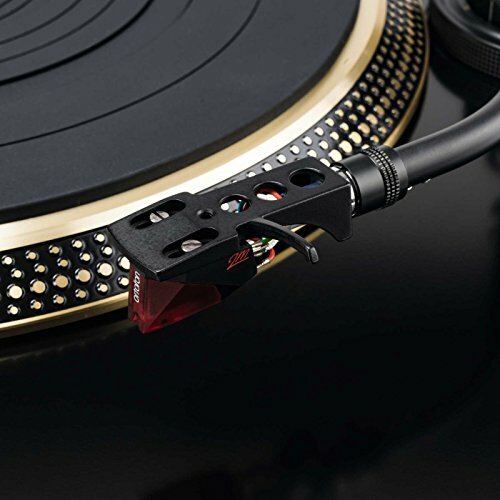 Overall the Rega is a tonally smoother and sweeter package, and a more three-dimensional one too. Yet the Reloop sounds more propulsive, energetic and engaging. REGA Planar 8 Review: The end of ‘full plinth’ turntables ?